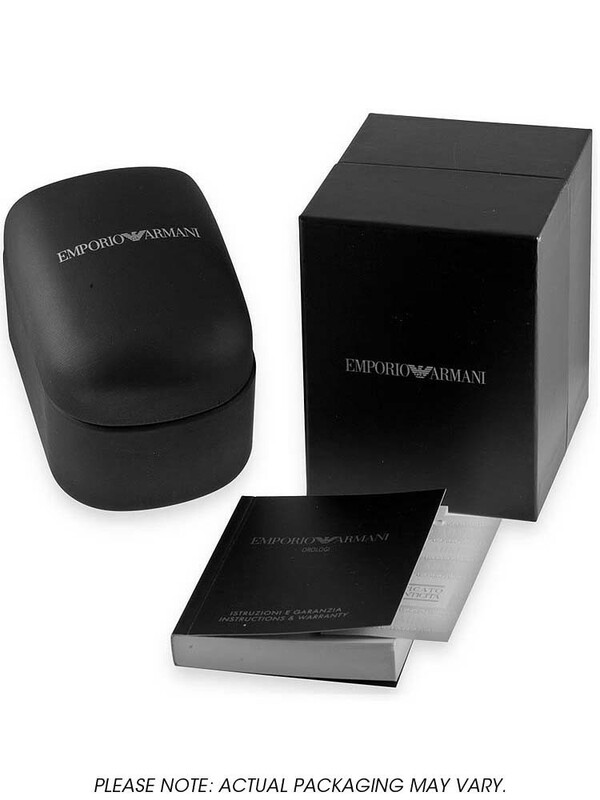 This beautiful classic design comes from Emporio Armani. 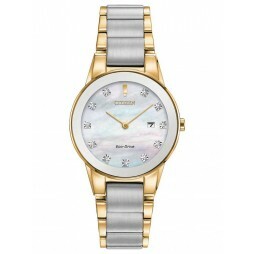 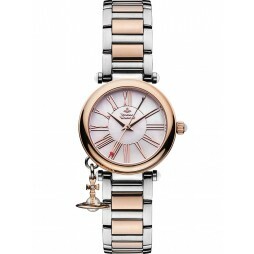 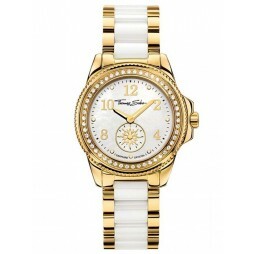 This elegant timepiece features a stunning mother of pearl dial and luxurious rose gold plated stainless steel bracelet strap. 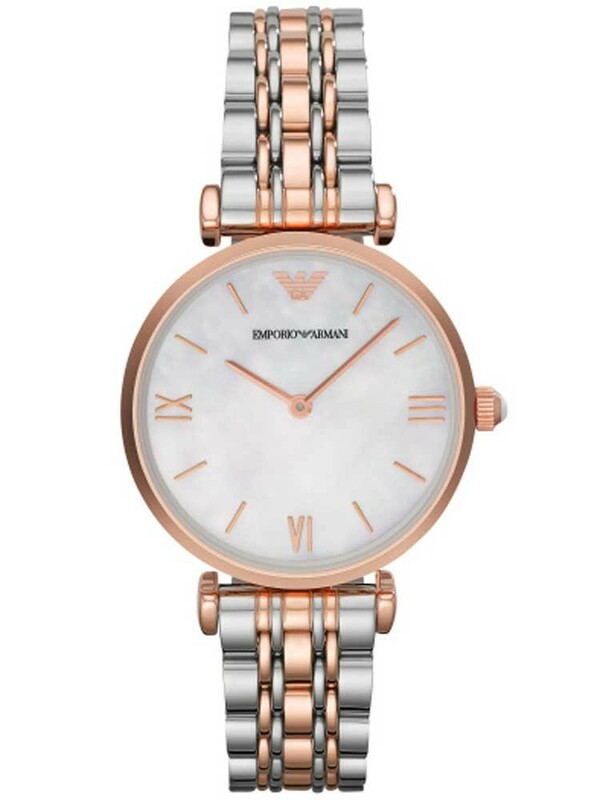 Sleek batons and Roman numeral hour markers add sophistication to this breathtaking piece.